Cartridge Heaters is used in different commercial ventures where restricted hotness is required for constrained space. 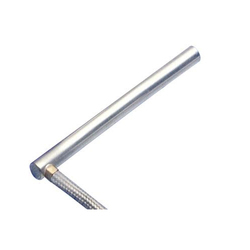 Electric Cartridge Heater is manufactured from ideal quality metal, S.S. also Lincoln sheathing in ordinary and “D” structure. Smaller Cartridge Heater could be benefited in low and also in high-density wattage. They are unique in term of value and are accessible at pocket amicable cost. Considered one of the famous producers and suppliers, we are included in offering an extensive variety of Cartridge Heaters.